An ape-like lower jaw fossil from Greece and a tooth from Bulgaria now pose a big threat to evolution’s story of mankind’s supposed split from chimpanzees out of Africa 5-7 million years ago. 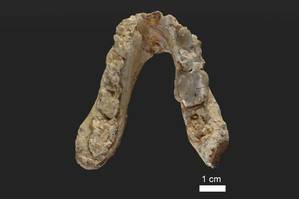 A new report describing the ground around the Graecopithecus jaw and tooth asserts that mankind emerged out of the Mediterranean, not out of Africa, hundreds of thousands of years before the textbook out-of-Africa age range. What would this challenge mean if the team’s age results relied on faulty dating techniques? The Graecopithecus lower jaw has an ape-like V-shape that contrasts with modern man’s U-shaped jaws. German University of Tübingen News called it “pre-human.”1 But why not just call it an ape, if it is an ape jaw? 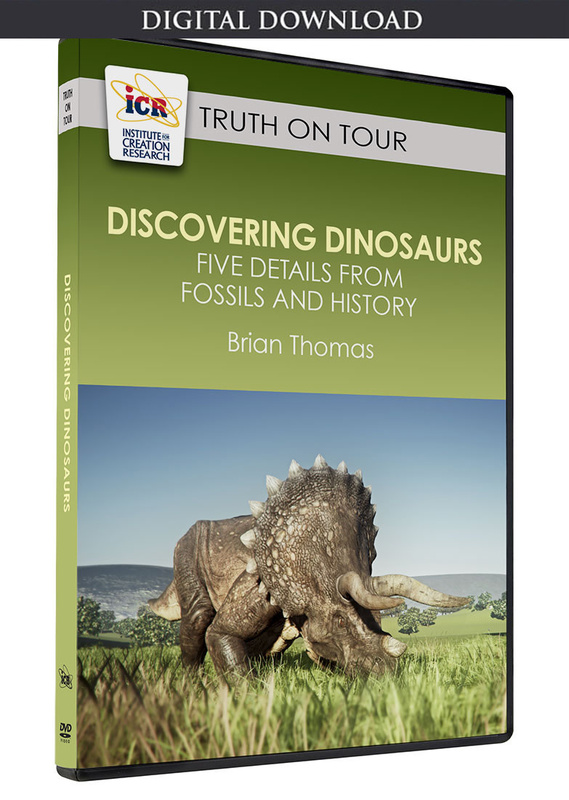 Instead, the fossil research team noticed that its tooth roots curve inward within the jaw, like human roots. Today’s great ape tooth roots bend outward. The team interpreted this to mean that the extinct ape was evolving human-like teeth. However, extinct Australopiths and other full-on apes also had tooth roots that bent inward, not outward. Thus, the direction of tooth root divergence is no more diagnostic of humans versus apes than, say, eyelash curvature. The team of mostly German, Bulgarian, and Greek scientists described the methods they used to assign ages to the Graecopithecus jaw in the online journal PLOS ONE.2 And those methods appear to carry plenty of bias. They generated a “magnetostratigraphic record” consisting of 118 samples.2 Each one had minerals that oriented themselves according to Earth’s magnetic field at the time they were deposited. But how do they know when? They had to assign ages to Earth’s magnetic reversals. But nobody knows, and nobody could go back in time to measure how long Earth’s magnetic poles maintained one orientation before reversing direction. The poles could have flipped much faster back then. The chart includes a bio-magnetostratigraphic timeline.2 One reason to distrust it is that the “bio” part of that word means that the chart already assumes that living things now preserved as fossils evolved over millions of years. Another reason to distrust the chart requires a bit of background explanation. The ages on the chart tie back to Ar-Ar (argon-argon) radioisotope dates. Then age-dating specialists linked those Ar-Ar-dated sediment layers to assumed times for ancient Earth-Sun position shifts. It’s called orbital tuning. But ironically, a separate chapter in the chart’s book documents how orbital tuning depends on radioisotope dating! If orbital tuning depends on Ar-Ar, but Ar-Ar depends on orbital tuning, then neither method gives an objective age. Both methods float together, but neither links to reality. The team asks whether humans evolved from Africa or the Mediterranean, but jaw and tooth anatomy suggests they should instead ask if humans ever evolved at all. 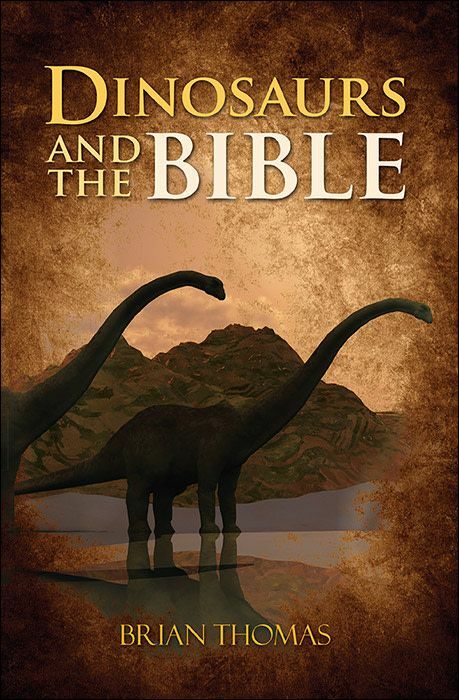 They ask if this supposed evolution happened six and half or nearer seven million years ago, but the circular reasoning that underlies evolutionary ages suggests they should ask if the millions of years ever really occurred. 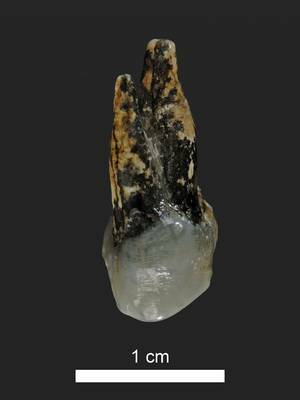 Oldest hominin possibly lived in Europe. Universitiat Tübingen News. Posted on uni-tuebingen.de May 22, 2017, accessed May 25, 2017. Böhme, M. et al. Messinian age and savannah environment of the possible hominin Graecopithecus from Europe. PLOS ONE. 12(5): e0177347. Hilgen, F. J., J. Lourens, J. van Dam. 2012. The Neogene Period. In Gradstein F. M., J. G. Ogg, M. Schmitz, G. Ogg, eds. The Geologic Time Scale. Amsterdam: Elsevier. Hebert, J. 2017. Milankovitch Meltdown: Toppling an Iconic Old-Earth Argument, Part 3. Acts & Facts. 46(1): 10-13. Hebert, J. 2017. A broken climate pacemaker?—part 1. Journal of Creation. 31(1): 88-98. Article posted on June 12, 2017.